COLUMBIA, Mo. 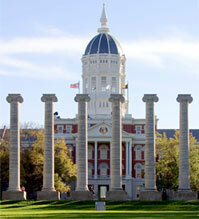 – Due to withholdings that Governor Nixon announced in April and May, the University of Missouri is reallocating just over $3.8 million to cover the loss in state funding for fiscal year 2014, which ended June 30, 2014. Each division on campus is being asked to reallocate a certain amount of their budget based on their current balances, the amount of general revenue they received and any auxiliary enterprise funding. It’s important to note that our auxiliary units, including Intercollegiate Athletics and Residential Life, are participating in this action even though they do not receive any state funds. We anticipate our auxiliary units will cover up to one-third of the shortfall. Division heads have discretion to determine how they will provide their contributions.